Home Flower Care	NEW Succulents at FiftyFlowers! 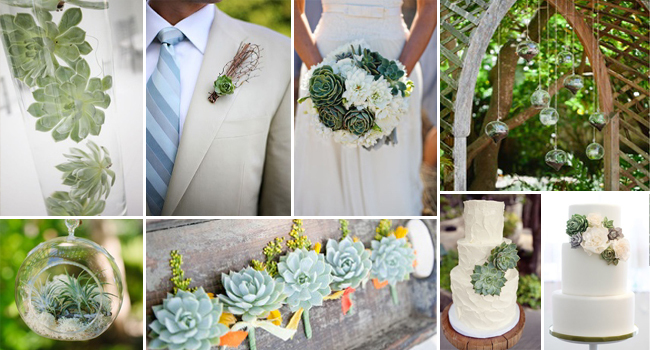 Succulents have been a HOT item in the wedding world this past year, and it looks like the trend is here to stay! Showing up in bouquets, centerpieces, favors, and even on cakes, Succulents are versatile and eco friendly, and we have just added to our collection at FiftyFlowers.com! Of course, natural succulents are gorgeous on their own, and will add a ‘green’ (although some succulents have cool purple, pink, and grey tones to them too) touch to any arrangement, but now, you can also use succulents to add a ‘pop’ of color! 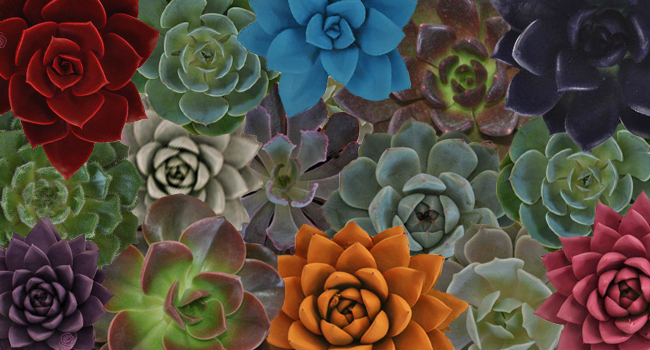 Our new collection includes painted succulents in colors like Blue, Lipstick Red, and Tangerine, so you can add a touch of color in unique succulent textures! For more inspiration and photo sources, check out our Succulents and Such Board on Pinterest! Then head to FiftyFlowers to pick up your favorite succulents!